Most people can talk. But then they risk assuming that uttering words is the same as communication. It’s not. Genuine communication is much more than merely expressing an opinion or dumping information. It’s all about connecting: connecting with people’s hopes, dreams, values, concerns. Multiple studies show that effective communication skills are at the heart of personal and professional success. Technical skills are fine, but if you can’t “connect” with other people you’re at a distinct disadvantage. The good news is that you can get better. 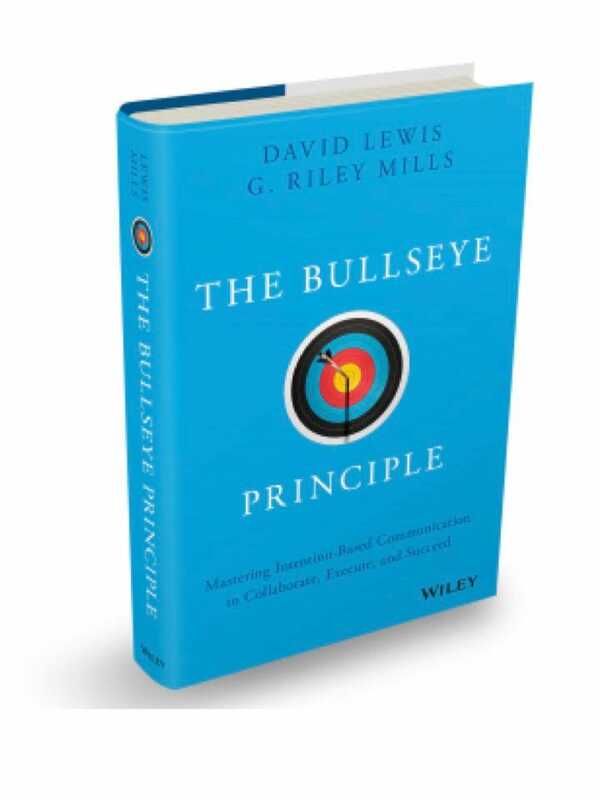 That’s the essence of The Bullseye Principle, a definitive guide for anyone wanting to excel with high-stakes conversations, presentations, and collaborations. 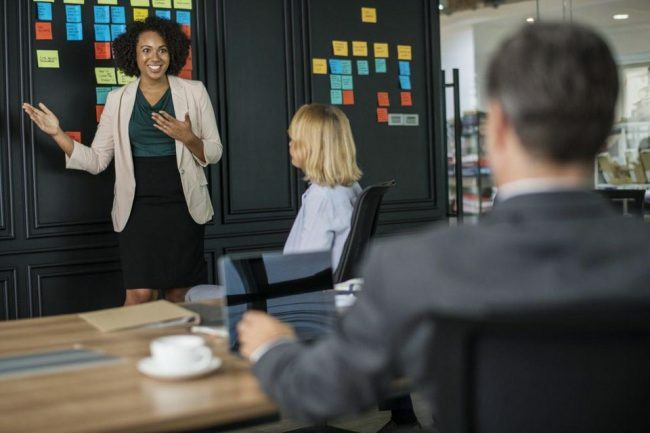 Co-author G. Riley Mills, a seasoned communication coach, shares some ideas that can help boost your ability to influence. 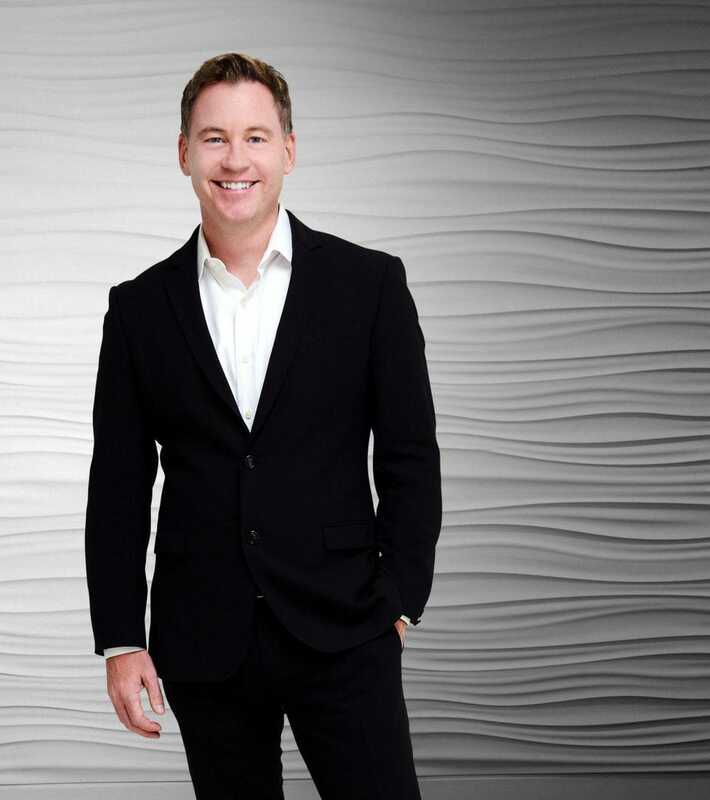 Rodger Dean Duncan: There’s no doubt that the ability to communicate with purpose and clarity is a critical key to personal and professional success. You take that truism a step further by emphasizing what you call “intention-based communication.” What exactly is that? Riley Mills: Intention-based communication applies to business communication the same techniques actors and world leaders have used for centuries to appear confident, credible, and compelling. The U.S. Has Over 6 Million Job Openings. Why Aren’t They Being Filled? The goal of intention-based communication is to ensure your audience understands why your message is important to them through your delivery—how you say it. To use an analogy, we view communication like an arrow whizzing through the air to its target. The target’s bullseye is your objective—what you want your audience to think/feel/do after hearing your message. The arrow is your message. Your intention is how you launch the arrow. Intention is a strong one-word descriptor. In practical terms, if you want to excite, motivate, or inspire your audience, your intention must be congruent with your message and your audience should clearly see excite, motivate, or inspire in all areas of your communication—body language, word choices, facial expressions, and vocal dynamics. Without a strong, clear intention, your message will be ambiguous at best. Duncan: You cite a study showing that 62% of young workers believed their oral communication skills are good enough for them to succeed at work, while only 28% of their employers agree. Why the difference in perception? Why are young people so over-confident in this regard? Mills: Young workers aren’t the only group assuming their communication skills are up to par. Business professionals of all ages and job responsibilities can benefit from improving their communication skills. The perception gap between employers and younger worker’s communication skills is complex. Boomers typically communicate in-person while younger workers prefer instant messaging, text and email. Young workers assume multiple internships have adequately prepared them for the workforce. But they haven’t. Young workers assume companies are more interested in hard skills than soft skills. But they aren’t. And schools at all levels aren’t adequately preparing young workers with the communication skills needed to succeed in the workplace. The biggest communication skills gap though, across all ages, is we assume because we talk everyday, we must be good communicators. Effective communication, though, like any skill, takes time and focused practice. Duncan: In the business world there’s a lot of hand-wringing about low levels of employee engagement. What role can or should communication play in boosting engagement? A manager’s leadership style is responsible for 30% of a company’s bottom-line profitability. One study showed that 70% of the variance in the employee engagement of teams could be traced back to the influence of the manager. Employees were three times more likely to be engaged if managers held regular meetings with their direct reports. Duncan: In this modern age of 140-character tweets, what helpful lessons can people learn from Aristotle’s writings from more than 2,000 years ago? Mills: The biggest lesson is, regardless of platform—in person, conference call, email, twitter, etc.—communication can be distilled to the same three elements: Speaker. Subject. Audience. As Aristotle pointed out, we are all just speakers communicating a message to an audience. That means, regardless of medium, you must constantly go back to the first step in our 3-step process for influential communication: analyzing your audience. If communication is meant to influence another person’s behavior, it must be grounded in the receiver’s desires and interests. Aristotle’s three means of persuasion—ethos, logos, pathos—are still a good guide for anyone communicating information today. To best influence an audience, no matter the industry or subject, you benefit from being seen as sincere, credible and passionate as a leader or executive. Duncan: Before any communication—whether offering a comment in a meeting or launching a major promotion campaign—what are three questions that should be addressed? Mills: We all want something as a result of our communication. And the clearer the message, the easier it is to hit the bullseye and get what we want. You must know whom you are talking to. How can you satisfy the needs of your audience and customize your message for them if you don’t know who they are? Demographic—age, marital status, gender, education level, occupation, religion as well as cultural, racial, and ethnic backgrounds. Psychographic—attitudes, beliefs, values, loyalties, pre-conceived notions, feelings, and level of knowledge of your topic. Situational—size of group, time of meeting, occasion, event’s length, room size and, seating arrangement. The second step is understand the reaction your message should elicit—how you want them to feel and, subsequently, what you want them to do as a result of hearing your message (your objective). The third step is to modify your delivery to achieve that result—modifying how you say what you say to accomplish your objective. Duncan: It’s been said that marketing is less about what you make than about the stories you tell. What’s the best formula for an effective organizational narrative? Mills: We recommend applying the dramatic structure developed by Gustav Freytag, a 19thcentury German novelist, to business storytelling. It’s the same framework for effective storytelling that novelists, playwrights, and screenwriters use. Establish background information (exposition). Who is the story about, when and where does it take place? The more descriptive, the better the picture you will paint for your audience. Identify the problem (inciting incident). Develop conflict. Introduce the pain point or problem. What incident or event gets the ball rolling? Who what is the villain? Detail the solution (rising action). Build and reveal pertinent information to drive the story forward. Show steps taken to address the problem and clearly identify a solution. Spotlight the result (climax). Describe specifically how you did it and how you achieved a positive outcome. Focus on the benefit your solution provided and ensure the story’s climax aligns directly with your objective for telling the story. State the takeaway (falling action and resolution). Wrap up your story with a one or two line closing that clearly defines what the listener should have learned from your story. We all have stories we can share to inspire or enlighten others. Your job as a storyteller is to kick off the story and get to the ending in the fastest, most interesting way possible. And remember, in most cases, a story is always about the ending—the lesson or moral you want to drive home. Changing communication habits: Is an emoji worth a thousand words?